If having Prince William and Harry dress up for Stormtrooper cameos in The Last Jedi isn’t a little on the weird side, then I don’t know what is. To top it off, the scene was completely cut out of the movie only to resurface in the deleted scenes later on down the road. The royals were paired with Tom Hardy, who got in a few lines. But it all basically wound up in the trash. Since The Force Awakens relaunched the series, there have been plenty of out there First Order Trooper cameos. Now, J.J. Abrams might just top the cake with Star Wars 9. Star Wars, at least before The Last Jedi, was without a doubt the biggest movie franchise of all time. And everyone wants to be in a Star Wars movie. So both J.J. Abrams and Rian Johnson squeezed as many of their friends in as they could. And it’s become a fun game to spot the celebrity in the alien costume. Now, comes word of a new cameo for Star Wars 9. And it doesn’t get any weirder than this. A new report claims that celebrity chef Jamie Oliver is going to suit up as a First Order trooper in the movie. he will be wearing the full suit of armor, so he’ll go unrecognized, just like Daniel Craig (aka 007) in the interrogation scene from The Force Awakens. The popular English cook has been spotted on set overseas, as the final chapter in the Skywalker saga continues to shoot into the early part of 2019. Apparently, the reason he’s even in the movie is because producers learned that Oliver loves dressing as a Stormtrooper. And he was close to the set, so it wasn’t an out of the way trip. Back in 2015, Oliver donned his Stormtrooper costume to take his teen daughters to school, and he also dressed up for his 5 year old’s birthday, which he shared on Instagram. Oliver isn’t the first Stormtrooper spotted in Star Wars 9. Ed Sheeran, who already has one quite controversial Game of Thrones cameo under his belt, is also suiting up for the cause. 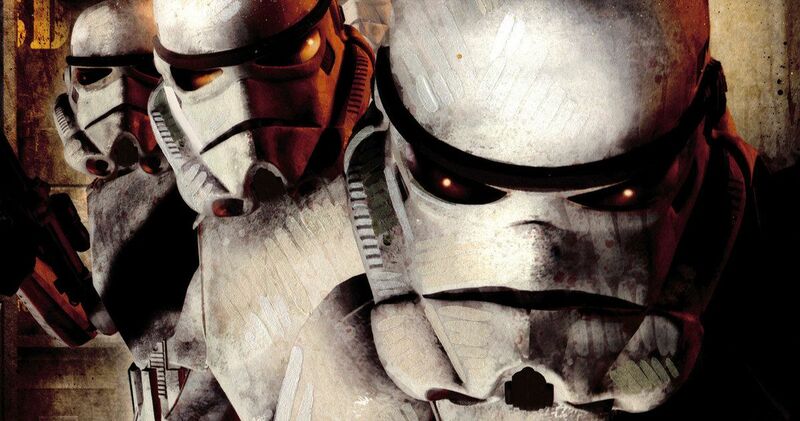 Other people who have played Stormtroopers in past Star Wars movies include Composer Michael Giacchino and record producer Nigel Godrich. Back when George Lucas was making A New Hope in 1977, it was hard to get extras inside the uncomfortable armor. Now some of the highest paid actors and celebrities in the world are fighting for their one chance to put on that white helmet and stumble around half blind on set. The cameo tradition is a strange one, since we all have to be told who is under the mask. Most celebrity cameos aren’t so well hidden in plain sight, which I guess is part of the fun. It would probably be quite distracting to suddenly see Jamie Oliver or Ed Sheeran suddenly pop up in a Star Wars action scene. These are fun little Easter eggs for fans to dissect and discover later. Apparently, Oliver was offered the chance to appear in one of Peter Jackson’s Lord of the Rings movies in exchange for the director’s 50th Birthday dinner. But Oliver turned the offer down citing ‘scheduling conflicts’. Uh-huh. It hasn’t been revealed what other weird cameos will grace Star Wars 9. Tom Hanks desperately wanted to suit up as a Stormtrooper for Solo, having gotten his biggest screen break back in the day with that movie’s director Ron Howard, when they made Splash together. Hanks couldn’t fit it into his schedule, though. So perhaps we’ll get a Hanks cameo here? Star Wars 9 is just a little under a year from hitting theaters. Luke Skywalker and Princess Leia will reunite with Lando Calrissian on December 20, 2019, while a few other characters such as Rey, Finn and Poe watch on. We’re sure to hear more about all the cameos in the movie once it hits theaters. This news comes from The Sun. Must be why my hands are so scorched typing this out.